“Ipswich Waterfront is one of the lowest parts of Ipswich and it is a natural thing for any rubbish which may drift from street to street - perhaps originating in the town centre or other locations - to end up blowing towards the Waterfront, over the quay edge and drop into the water. Once in the water, the rubbish becomes waterlogged and heavy, and sometimes binds together with any natural detritus which may float through the lock gate from the river; such as seaweed, driftwood, or other organic vegetation. The curve of the quay wall immediately outside the University building is exactly in the direction of the prevailing South Westerly winds: thereby any rubbish tends to gather there and is held in place by the prevailing airstream. This part of the Waterfront is one of the busiest with members of the public walking past, so any gathered rubbish is quite visual and inevitably noticed by a greater number of people. We have developed over many years, a successful collaboration between Neptune Marina, ABP and Ipswich Borough Council for the direct-action response of lifting the rubbish and organic matter out of the water by manpower, and disposing of the items. This is a very effective method of dealing with what can be quite large items and is attended to every two weeks by these three parties. In addition, Neptune Marina staff are lifting rubbish from the water on an almost daily basis and disposing of it. On the occasions that a Northerly or Easterly wind is blowing, the rubbish blows away to ‘the island site’ where Ipswich Haven Marina is located and general members of the public are not necessarily aware of this, because they are not habitually walking past these areas of the Waterfront. 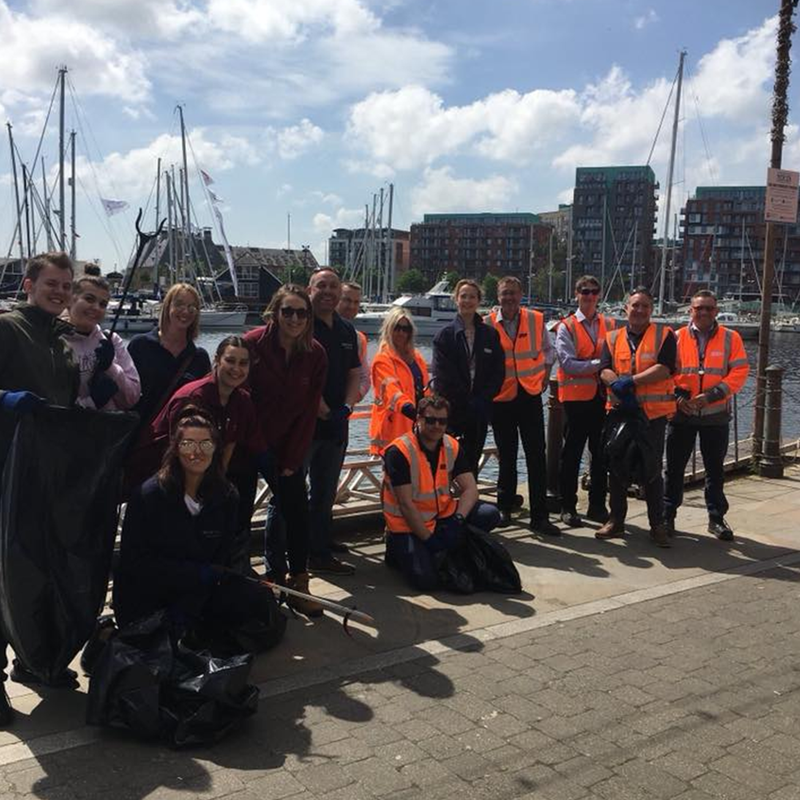 The Waterfront Life and Student Life teams joined Ipswich Central and ABP on one of their regular clean ups on 11th May, and we were stunned at the litter found in just one hour of collecting. Keep an eye on our social media for the next organised litter pick, when we will encourage readers and residents to come down and get involved with keeping the Waterfront clean.